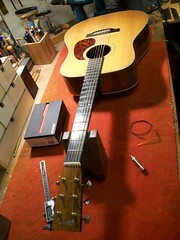 This Collings acoustic guitar is in the workshop for a pick up to be installed. 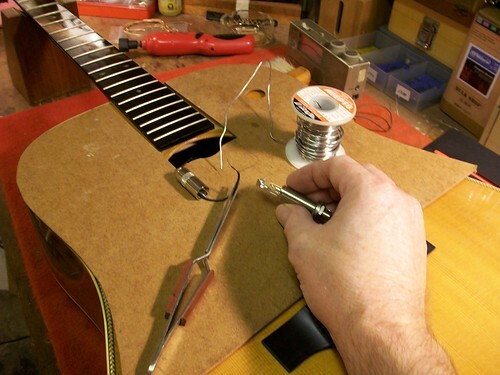 A Fishman Passive pick up was decided upon to eliminate cutting a large rectangular hole in the rib of the guitar to except a pre-amp, and also to eliminate any need for a battery. 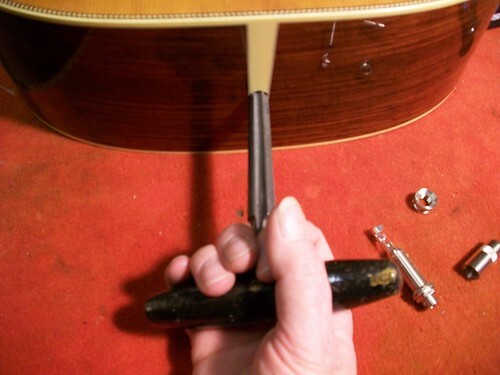 The saddle is removed and a hole is drilled in the saddle slot through into the soundboard. This is to except the pickup cable. 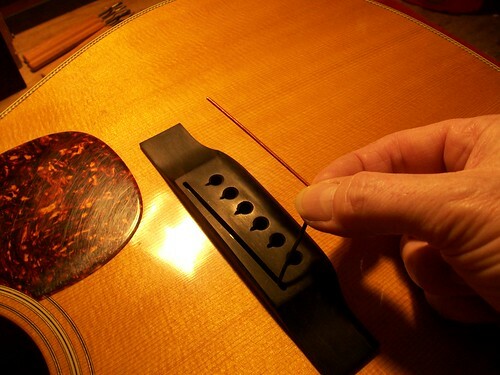 The strap-button is removed and a 12mm hole reamed through the rib and into the guitars internal end-block. 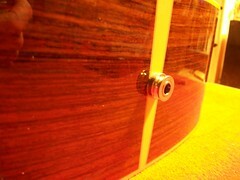 This is to except the jack socket which will also serve as the new strap-button. The internal pick-up cable is soldered to the jack-socket. 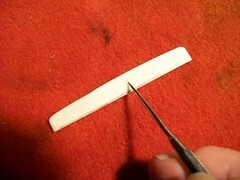 The jack-socket is tightened up and made secure. 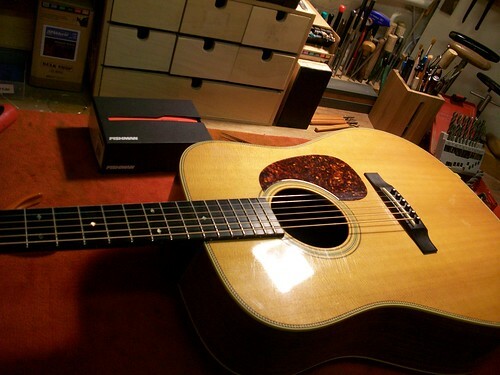 I would like to fit a pickup to my Collings and what you have done here looks like the most discrete and sensitive solution. Was the customer happy and does this remain the very best option? Yes the customer was very happy with this option as it served his amplification needs. Another option I would suggest is the K& K Sound System Western Mini. This is an under-soundboard system. Check it out here….